Today I’m joining up with some food blogging friends to share some of our favorite food gift ideas for the holidays! Be sure to scroll to the bottom of the post to check out the other amazing ideas they came up with! 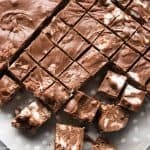 Last year I shared Grandma Nash’s Best Butter Almond English Toffee and Easy Homemade Rocky Road Fudge as two of the candies I enjoy making and giving to friends and neighbors at Christmastime. 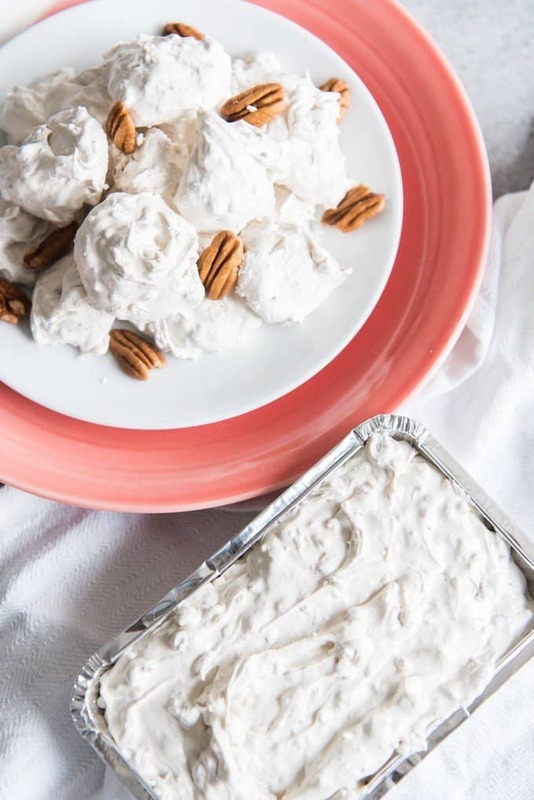 But this old fashioned divinity candy recipe is another sweet treat I love to make and share during the holiday season, and I’m guessing fewer people have heard of it, much less tasted it before, unless you grew up in the South. 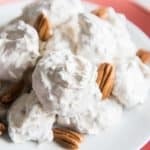 Old fashioned divinity is a vintage recipe for a meringue-based candy that I would describe as somewhere between fudge (even though there is no chocolate in most divinity, it is often even referred to as Divinity Fudge), nougat, and marshmallow. It’s a billowy light, super-sweet, airy candy confection and it tastes…well, divine. Hence the name. The only place I have ever actually seen it sold is on Main Street USA in Disneyland in the candy store where it comes packaged in little rectangular tinfoil trays next to the walnut fudge. It’s what I would pick out as my special treat when I was a kid and we would go to the park with my aunts and grandparents, who would let us choose one thing to take home and share. 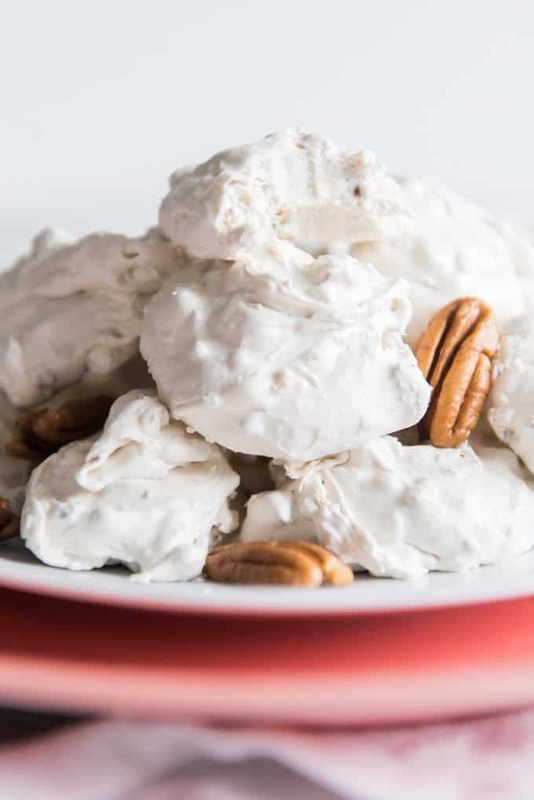 Divinity is a classic candy recipe made with just a few ingredients: granulated sugar, corn syrup, and water get boiled together with a pinch of salt until they reach a hard ball stage before very slowly pouring the liquid sugar mixture over stiff egg whites in a thin, steady stream. Then chopped pecans and a little vanilla are stirred in at the end for texture and flavor. 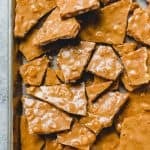 The trickiest part to making this old fashioned divinity candy recipe is knowing when it is done and ready to be dropped into little mounds or poured into a pan to set. But I have two tests to help you out. The first test is by just turning off your mixer and lifting the beaters. If the candy falls back into the bowl in ribbons that immediately merge back into themselves, the divinity is not done and you need to keep beating. Eventually, the divinity will lose it’s glossiness and sheen and stop being so sticky, which means it’s ready. The second test is even easier, I think, because all you do if you are having a hard time telling whether the divinity is still glossy in the first test is to go ahead and stop the mixer, drop a teaspoonful of candy onto wax paper, and check whether the candy will hold its shape. If it puddles, the divinity isn’t ready, but if it holds a peak and stays in a nice mound, you are good to go. 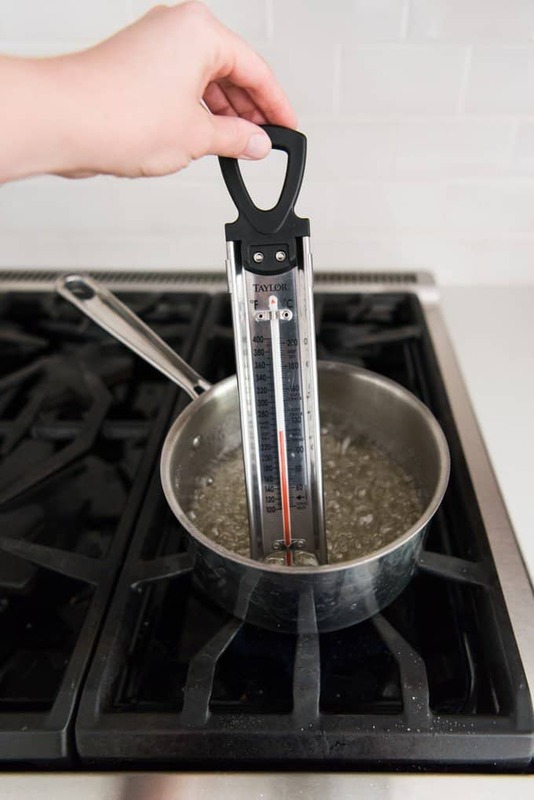 You definitely want a candy thermometer for this recipe though, because if you don’t bring the sugar/corn syrup mixture up to 260 degrees F before slowly adding it to stiff egg whites while beating, then candy won’t set. 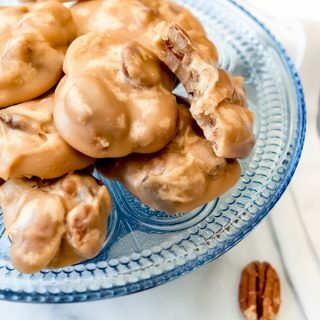 There are a few popular divinity variations because the base itself is such a great backdrop for mix-ins like the pecans that I chose to use here. But some other great flavor ideas would be to stir in the following combinations. And you can color any batch of divinity with just a couple of drops of food coloring just to change things up. 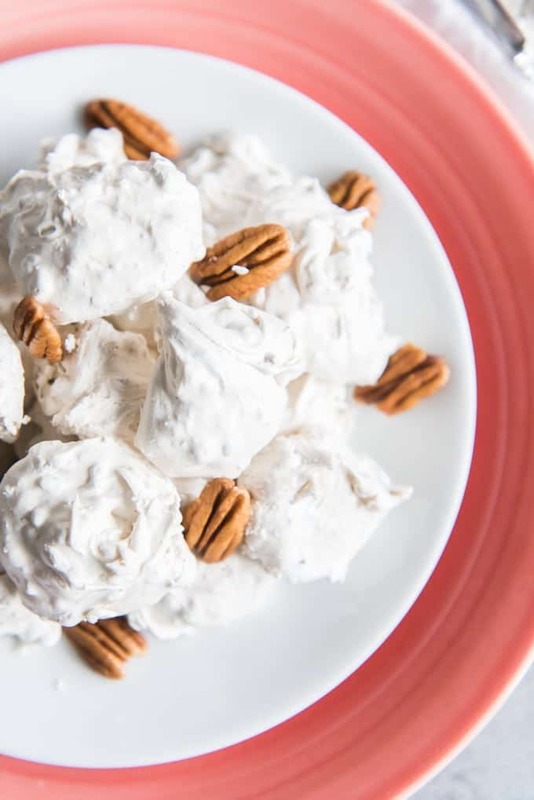 Although I love the pure white look and nutty taste of this classic, old fashioned divinity candy recipe. And it’s the one that gets made most at our house. What are your favorite food gifts to share with others during the holidays? 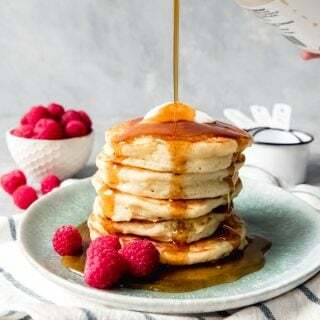 Keep scrolling for more ideas below and be sure to follow House of Nash Eats on Facebook for more daily recipe inspiration! If you are on a mobile device, just follow this SURVEY LINK to complete the survey. If you are on desktop, you should be able to fill out the survey below with no problems! 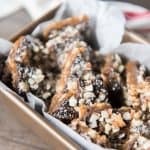 Check out these other great ideas for food gifts for the holidays from some of my favorite food blogging friends! I love divinity and need to try making it again. The first time was a bust but I really didn’t know what I was doing. You give such clear directions! Thanks for joining the holiday food gift event! 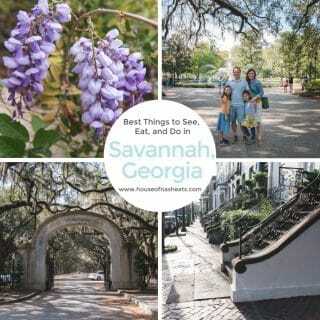 I’m a Yankee in Tx, so I scored big points with this recipe!! We made our second batch last night and split it up plain and peppermint. It came out perfect again. Humidity is the key. The recipe tips on weather are spot on. Thank you so much Michele! I’m so glad you guys are loving this recipe as much as we do! These are so pretty! I haven’t had divinity since I worked in the candy store in Disneyland. Brings back memories. Hold the phone – you got to work at the Disneyland candy store?!?!?! I seriously would waste a good hour at the park just watching through the window while they make candy there. I’ve never heard of divinity candy. It looks delicious. I have got to try it. It’s definitely not as well known but it needs to be! 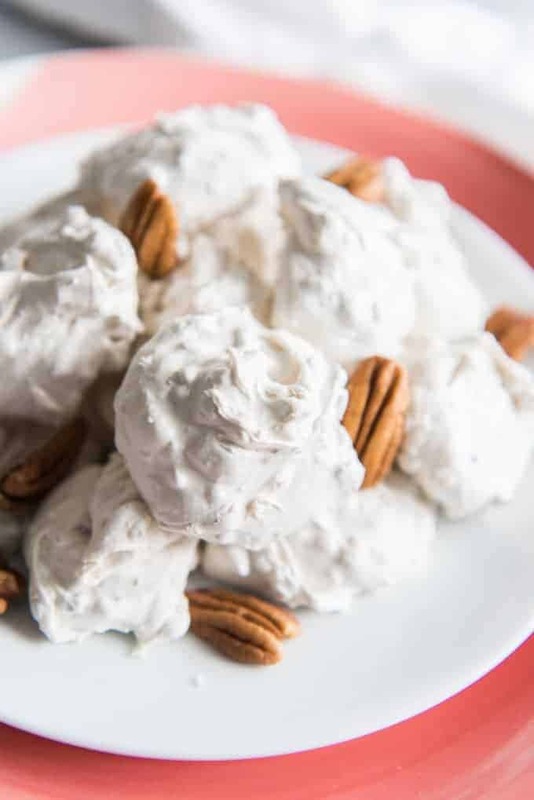 I’ve never heard of Divinity Candy, but I’m a big fan of making candy around the holiday season, so I’m definitely going to try it soon! 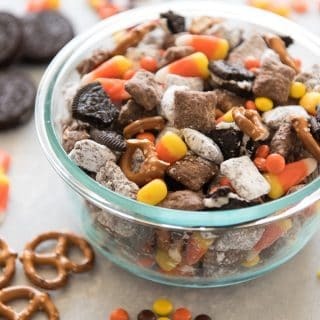 Oh my gosh, I have to make this! It looks so amazing! This recipe reminds me of the divinity my mom and I used to make when I was growing up! I love how food leads to such good memories! I totally agree! Especially holiday baking and candy making memories! So I have never personally experienced it as a factor, but yes, I’ve heard that humidity can be problematic too. But it seems like the day I made this batch it was raining off and on here and my divinity set up just fine! Divinity doesn’t usually set up in more humid climates or on rainy days, but Martha Stewart has a good trick for these situations – add a teaspoon of powdered sugar at the end. If it still isn’t setting up, add another teaspoon, and so on. It works like a charm! Such an interesting trick! We’ve had some rainy weather again lately! I will have to try this next time and see how it works! Divinity is one of those things that I always thought would just be too hard to make. You’ve inspired me to challenge this. It definitely helped when you gave variations of flavors…like coconut!!! I have never had divinity candy! May be it’s time to change that.. should go on a look out for some and see if the local sweet shop here in Bucharest keeps them and then give it a try myself maybe. I love vintage recipes! I forgot this even existed. Thank you sharing! You are so welcome! I love them as well! Judy, those vintage recipes are so special and I love that you have this memory of your mother! I wish I could say whether this would work to recreate the peanut roll, but since I have never had a peanut roll, I can’t really be sure! I’m sorry! But I hope it would work for you! If you try, please let me know how it turns out! I’m going to have to research more about peanut roll candy! I look forward to trying this recipe for Divinity! My grandmother lived with my family when I was growing up in Memphis, TN. We always made this at Christmas. Before we made the candy we had to check the weather report! Nana said that divinity would not set up if it was raining outside. Thank you for the memory! 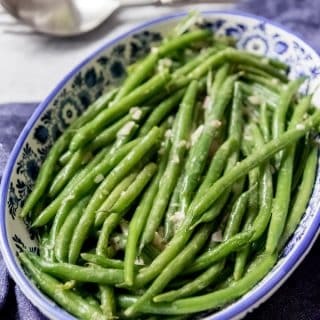 I love that you have this connection with this recipe! Thank you for the recipe. I can’t wait to try it. One question, about how long does it take to set up (hours)? It should only take 2-3 hours unless you are experiencing high humidity. I have heard that some people whose divinity doesn’t set up will pop them in the oven at a very low temperature for 20 minutes or so to help them along, but I haven’t tried that personally yet. I tried this today but it came out like nugget. I think I may have overbeaten it. Has anyone had this happen? Any tips? Oh dear! It sounds like the divinity got beaten too long. The hardest part about divinity is knowing when to stop. I would recommend stopping earlier and testing it every 30 seconds of beating or so. When it stops melting down into a puddle, it’s done. But when I have gone too far with beating in the past, I have been able to save a batch of divinity by adding a few drops of hot water (maybe 1/2 teaspoon or so at a time) and beating that in to soften it back up and get it to the right consistency. I used to love my grandmother’s divinity, having spent my early childhood in Missouri. I have a black walnut tree in my back yard now – and will be making black walnut divinity for my mother-in-law this holiday season. I look forward to the nastalgic childhood trip down memory lane. Thank you for the recipe and tips. You are welcome! I love that you have found memories of divinity as well. Black walnut divinity sounds wonderful. 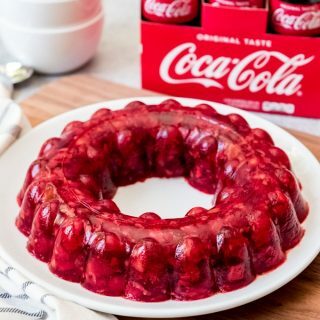 Does it have to be light corn syrup. Would regular work? I only know of light or dark corn syrup and you wouldn’t get the beautiful white color using dark. I’m guessing regular corn syrup IS light corn syrup. Yum! Can you believe I’ve never made divinity before? I should make a batch this year! Lol – I’m sorry! But kinda not? haha. I’m glad you liked it! Am I suppose to stop the mixer the minute the shine starts to go? I think I over mixed it. Also do we still use the mixer when we add the pecans? Or so we hand. Mix it? Yes, once that shine starts to go you are pretty much there. Try some of the drop tests mentioned in the post – if it puddles, you need to keep beating. But that change from puddling to holding its shape happens quickly. 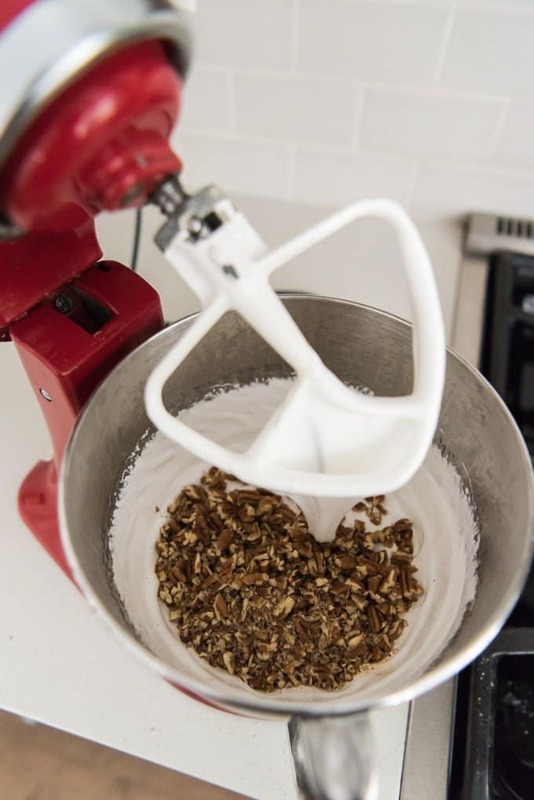 You can use the mixer to stir in the pecans, because it can get pretty thick for hand mixing. Ok all went well. Had divinity then added maraschino cherries. Big mistake. Turned right back into a sticky goo. So i froze it and cut it and diped it into chocolate. Happy accident. Oh no! That’s frustrating, but I’m glad it worked out. Chocolate covered cherry divinity sounds amazing! 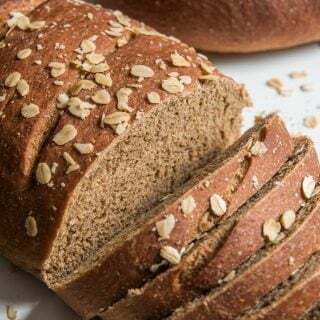 I just made this recipe today, and it came out fabulous! I haven’t made divinity since before I had kids, and my kids are now old enough to help in the kitchen. We had a blast! Just as a note, it set up beautifully and we not only live in a humid climate, but it was pouring rain all day. I remember this candy as a special treat made only around Christmas. It is really hard to get it to set in Louisiana, too humid most days, so using a tad less water helps. Sorry! My best guess is that maybe the environment was too humid for it to set all the way? Huh, that’s really strange! No, I don’t have any idea why that would have happened. It’s a reusable baking mat like parchment paper except made out of silicone. You could use parchment paper instead though. Thank you so much for this recipe! My dad’s grandmother (born in the 1800’s!) used to make this for him growing up and I remember him telling me it was his favorite thing ever, but that it was so hard to make that he hasn’t had it since childhood. I live in Scotland now, but am flying home for his 70th birthday party in a few weeks so, I made this today in a test run because I want to surprise him with it. I set up a dehumidifier in the kitchen and sealed it off overnight and then followed your recipe. I was so worried it would be too hard for me as I never cook, but it turned out amazing! I’m not sure what it’s supposed to taste like, but this tastes amazing! I’m was so excited I cried. To be able to bring my dad something he loved so much as a little boy for his 70th is so incredibly special for me. Thank you so much for such an easy to follow recipe!! Mariah, your comment absolutely made my day. I love that you are making these for your dad! What a sweet, special idea.